← What Are Local Governments Doing to Adapt to Climate Change Impacts? Is There a Way to Promote Development in Coastal Areas of Costa Rica While Still Preserving the Natural Environment? Costa Rica needs to pay attention to the rapid change that coastal regions have been undergoing as a result of tourism and real estate projects. Despite the economic benefits in terms of jobs and foreign investment, many have raised concerns over construction in high slopes, approval of projects without the necessary water and wastewater infrastructure, deforestation, and the displacement of the local population. Is there a way to promote development in coastal areas of Costa Rica while still preserving the natural environment and benefiting coastal communities in the long term? What is the process currently in place to determine a project’s potential negative impacts, and what changes need to be made to this process in order to promote sustainability? To answer these questions, Maricarmen Esquivel studied the Environmental Assessments for three tourism and real estate projects in the Pacific Coast of Costa Rica, looking specifically at how environmental, economic, and social tradeoffs have been made in practice. The analysis shows weak assessments, lack of pushback from government agencies coupled with inadequate monitoring, and a high number of legal complaints that have not been sufficient to incentivize good practices. As coastal areas are being urbanized, Costa Rica has embarked on an ambitious effort to improve the cadastre and land use plans of these regions, in large part to give more security to investors. A window of opportunity currently exists to improve the sustainability framework in the country, including strengthening the National Technical Environmental Secretariat and the Environmental Administrative Tribunal, updating environmental assessment regulations, and enhancing land use planning capacity. Esquivel suggests these recommendations should be implemented through a collective effort led by the Ministry of Environment, and including other relevant government agencies, local and international environmental NGOs, universities, the private sector, and local communities. She argues having clearer rules for development in coastal areas will ultimately benefit all stakeholders. 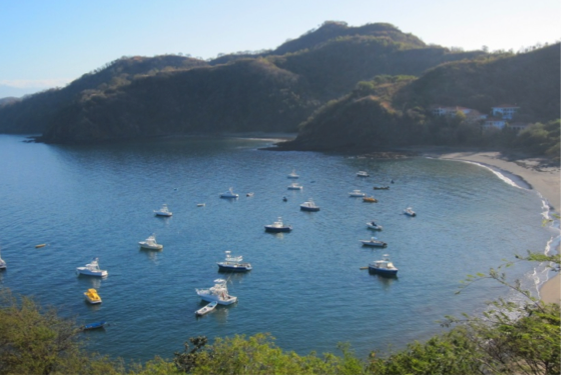 You can learn more about this topic by reading the full thesis, “Coastal Development Decision-Making in Costa Rica: The Need for a New Framework to Balance Socio-Economic and Environmental Impacts,” written by Maricarmen Esquivel. Posted on May 11, 2012, in urban development, water. Bookmark the permalink. 1 Comment.